For thousands of years, those who controlled and monitored society's finances-accountants-were often the most powerful, respected, and influential members of the community. From the collectors at communal granaries in the ancient Middle East to the scribes who monitored Queen Victoria's Exchequer, the accountant's role has been to preserve the integrity of financial systems. In the United States, twentieth-century accountants played a vital role in shaping the transparency of U.S. capital markets, counseling the Allies on financial matters in both world wars, advising Congress on the creation of the federal income tax, and inventing the concept of the gross national product. Yet by 2003, the reputation of the public accountant was in tatters. 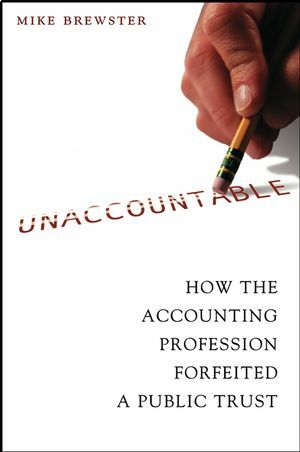 How did the accounting profession in America squander its legacy of public service? What happened to the accountants that presidents, senators, and captains of industry turned to for advice? Why did auditors stop looking for fraud? How did this once revered profession find itself in this unlikely and humiliating state? Mike Brewster is the coauthor of King of Capital: Sandy Weill and the Making of Citigroup, also published by Wiley, and a former sportswriter in upstate New York. Formerly the editor of LeadersOnline, Brewster spent seven years as the communications director at KPMG. He is a graduate of the Columbia University Graduate School of Journalism.